Although it was a bit cooler than the August summer weekend many were hoping for, it was perfect for an Alberta farm road trip! Alberta Farm Days had been written on my calendar for weeks and we were excited! As their website states, Alberta Open Farm Days is a collaborative, province-wide, two-day event that gives Albertans an opportunity to experience the farm and understand where their food comes from. Open Farm Days started over 10 years ago in the Maritimes, but 2017 marked the fifth annual Open Farm Days in Alberta. This year, over 100 farms participated and featured 16 culinary events, so we had to be selective on our tour (especially since taking the scenic backroad to Ponoka got us lost, decreasing our farm-visit efficiency). Rock Ridge Dairy and Irvings Farms may be familiar to many Edmontonians, with their products available for purchase at places like the Strathcona Market and Blush Lane Organic Market, or popping up on menus, such as Cafe Linnea. Since we personally consume these products on the regular (5% whole Jersey milk elevates our Nespresso cappuccinos to gourmet levels), we wanted to see exactly where they come from and learn a few things along the way. 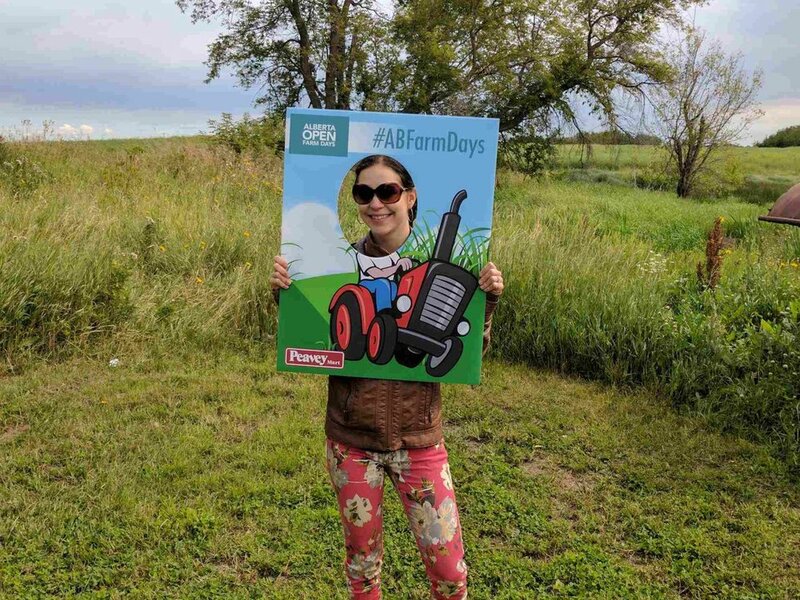 From August 28 - September 2, the Eat Alberta blog will be home to Tianna’s Open Farm Days road trip adventures. Monday's post features a tour of Rock Ridge Dairy from one of our newest members. Wanted! Our newest social media coordinator!